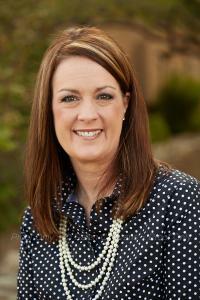 Julie received her Bachelor’s degree in Accounting from Arizona State University in 1988 and has worked in both national and local accounting firms throughout her career. In 1999, Julie received her MBA degree from the University of Arizona and subsequently co-founded Marketing Intelligence, LLC, a Tucson-based marketing research and strategic consulting business. She has taught undergraduate courses in marketing and business administration, as well as graduate courses in accounting, at the University of Arizona. She served as Chair of the Tucson Heart Ball (benefiting the American Heart Association), and she is a past Chair of the Board of Directors of the Arizona Society of Certified Public Accountants. In 2014, she was appointed by Governor Jan Brewer to serve a five-year term on the Arizona State Board of Accountancy, and she chairs the Audit Committee for Science Foundation Arizona. Julie brings diverse audit experience to the firm, including specific concentrations in nonprofit, Single Audit/OMB Circular A-133, employee benefit plans and construction contractor engagements. She oversees the firm’s audit and assurance practice and is in charge of the our quality control and peer review program.